You’ve probably heard the terms “buyers market” and “sellers market.” The truth is that the effort you put into staging your home is what matters most, regardless of the market. Most sellers don’t have the time or money to do everything, so it’s important to concentrate your efforts on a few key projects that are most likely to help sell your home quickly. Buyers will not be interested in a home that looks or smells dirty, so start by thoroughly cleaning your entire home. Make sure every surface is spotless, top to bottom and don’t forget those often overlooked spots such as wiping cabinets, drawers and getting rid of scuffs on walls. Of course, living in a home means things will get dirty again, so after the initial deep clean, your top priority is to keep cleaning regularly. Create a schedule for quick, daily cleanups and make sure you have the right tools to keep your home in tiptop shape. Whether that means getting a new high-quality vacuum to keep your wood floors shining, top-rated microfiber cloths like the E-cloth ($39.99 for a pack of 7) to get rid of dust, or some great scrubbing cloths and cleaners, this job will be much more manageable with the proper tools. Even when your home is spick and span, buyers will have a hard time looking past clutter. Clutter makes any space feel smaller, especially entryways and hallways, and it also makes it harder for buyers to picture how their own furniture and accessories would fit. When you’re decluttering to sell, you want every space to be neat and organized, and you also want to remove personal items that might interfere with buyers envisioning themselves in the space. Since storage in your home is limited, and buyers will look inside every nook and cranny, many homeowners find that renting a storage space is the best way to remove extra items they want to stow away. A storage unit can be particularly helpful for larger items including furniture pieces. The best way to find the closest and cost-friendly options for local storage units is to shop around online. A recent look shoes the overall average price of a self-storage unit in Vista, California, costs $131.66 per month. Your overarching goal is to take yourself out of the equation and stage your home so that it is most appealing to buyers. 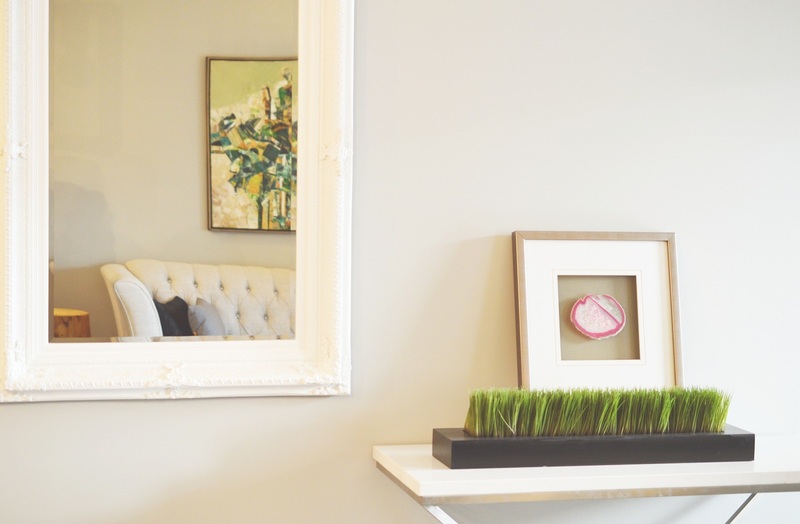 Simple staging tips such as using mirrors to add light and make a space feel bigger or getting an area rug to help define a room, go a long way toward creating the best impression. Along with decorating to accentuate your home’s best features, Forbes recommends staging your home to make it “experiential.” The idea is to make buyers have an overall positive experience so they feel at home. Fresh flowers, diffusing a fresh smelling essential oil, and lighting the fireplace are all simple touches that create a memorable experience. While focusing your efforts on cleaning and staging, don’t forget to fix anything that is in disrepair. Do necessary home repairs including making sure all appliances work and faucets are leak-free and unclogged. You should also fix anything that shows obvious signs of wear such as holes in drywall, cracked tiles or scratched hardwood floors. It’s also important to know when you would be better off going for an upgrade such as updated appliances, rather than making repairs. The same tips for how your home should be staged inside typically apply to outdoor areas, too. Real Simple recommends creating curb appeal by decluttering your yard and outdoor living spaces, giving your front door a fresh coat of paint to make this space feel warm and inviting. In many ways, prepping your home for sale is really the first step toward being ready to move on. This is emotional for some sellers, but it can also be extremely helpful. Decluttering helps you get a jump-start on packing, and your pristine home will appeal to buyers for a quick and profitable sale.